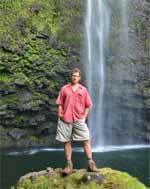 Have one spectacular Maui day on the Private Haleakala and Maui Wine Tour! As you ascend the summit of Haleakala, experience the panoramic valley and ocean views in all directions. Stops include at the visitor center, summit district, and Red Hill observatory. Learn about the flora and fauna along with the cultural significance of this sacred place as you witness the majestic views. Next, head over to MauiWine for a hosted lunch at the neighboring Ulapalakua Ranch Store, and an exclusive wine tasting experience with MauiWine experts. You will have plenty of time to sample wine and stroll through the beautiful property. The new fleet of guided tour vehicles are equipped with comfortable seating, climate controlled interiors, and large viewing windows. 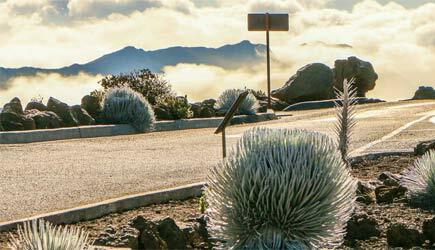 Their professionally trained guides will teach you the history of Haleakalā National Park, flora, fauna, and cultural significance of the area, and they will make sure you get many amazing photo opportunities. The guides are also NAI (National Association for Interpretation) Certified. Schedule: Monday, Wednesday, and Friday (closed on Thanksgiving Day, Christmas Day, and New Year’s Day). Pickup: Pick up time is between 6am – 7am depending on your location. 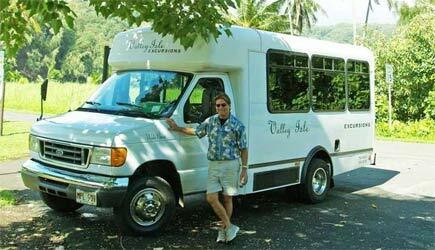 Tour includes: Complimentary hotel pickup and return, park entrance fees, and MauiWine tasting tour. Continental breakfast before the summit and lunch at Ulupalakua Ranch. You can select your lunch choices the morning of your tour. Along with your choice of burgers, salads, and sides, your lunch includes chips, water or root beer. Restrictions: Minimum age is 21. Because of the high elevation, this tour is not recommended for anyone with cardiac or respiratory conditions due to high altitudes. No scuba diving within 24 hours of this tour. No smoking is allowed on this tour. What to Bring & Wear: Dress in layers and warm clothing, shoes and socks. Bring a jacket or sweater along and wear long pants. Skyline will provide a cozy summit jacket and warm gloves on the tour, in case you forgot to bring a jacket on your vacation. Bring your sunglasses, sunscreen, and wear any clothing that helps block the sun. Don’t forget to bring your camera! Pride of America cruise ship passengers are able do the Haleakala and Maui Wine Tour on their second day in port in Kahului. They will pick you up at the harbor.